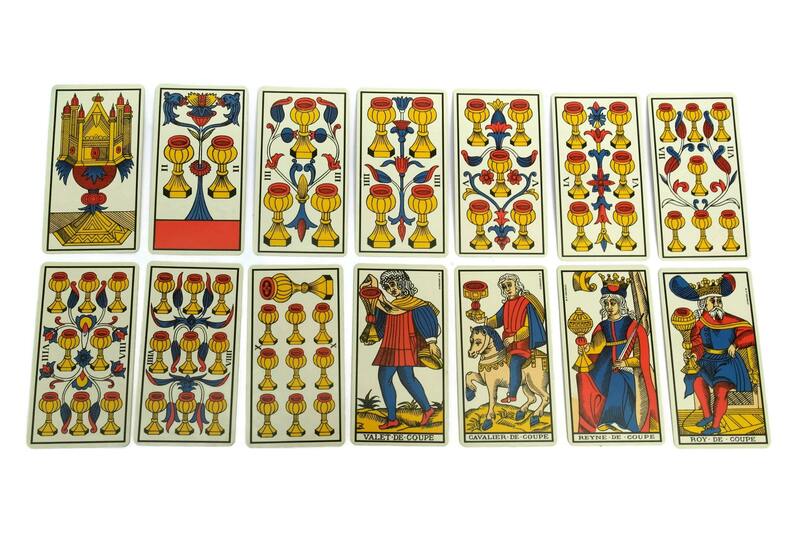 Vintage French Tarot de Marseilles Fortune Telling Cards. 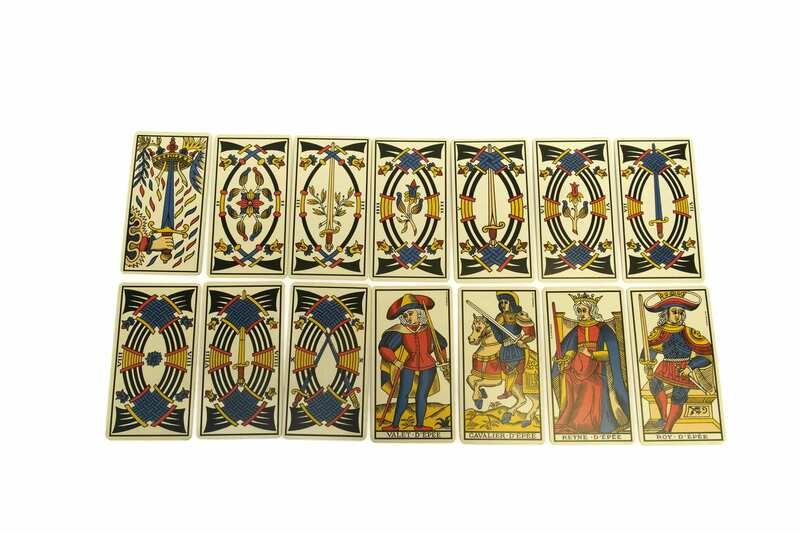 A set of vintage French fortune telling cards known as the Tarot de Marseilles. 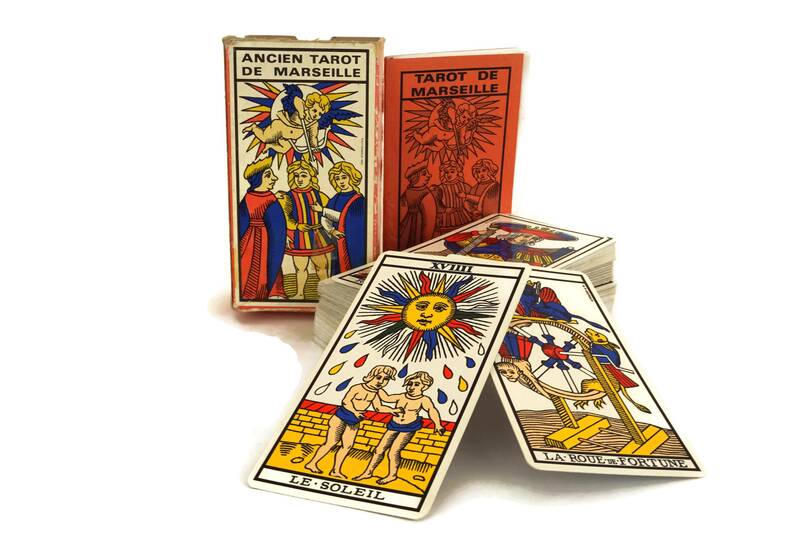 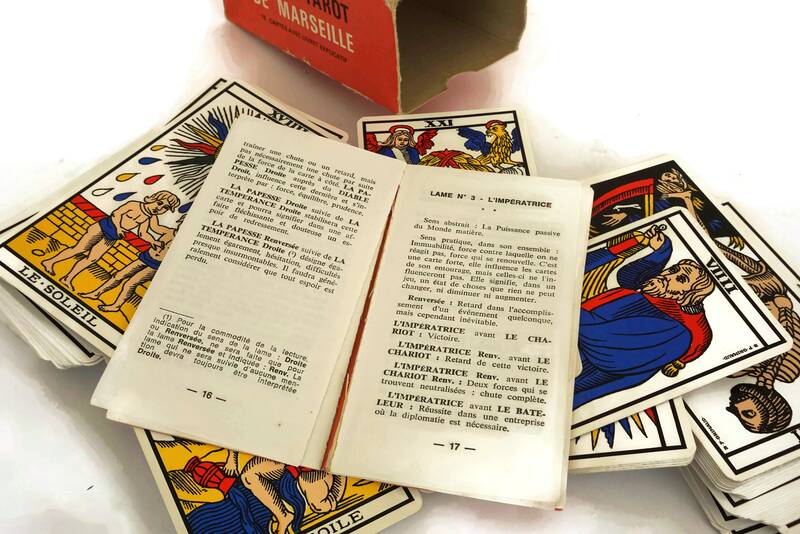 The divination cards were printed by the famous B P Grimaud company in the 1960s and the deck is complete and comes presented with a French instruction booklet in its original box. 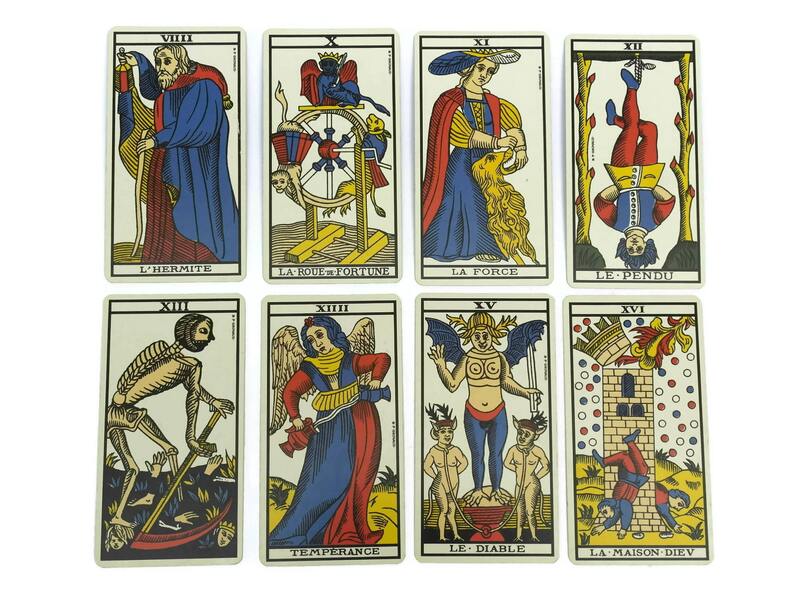 The set has 78 large cards which have been printed with striking and vibrant images based on traditional Tarot symbolism. 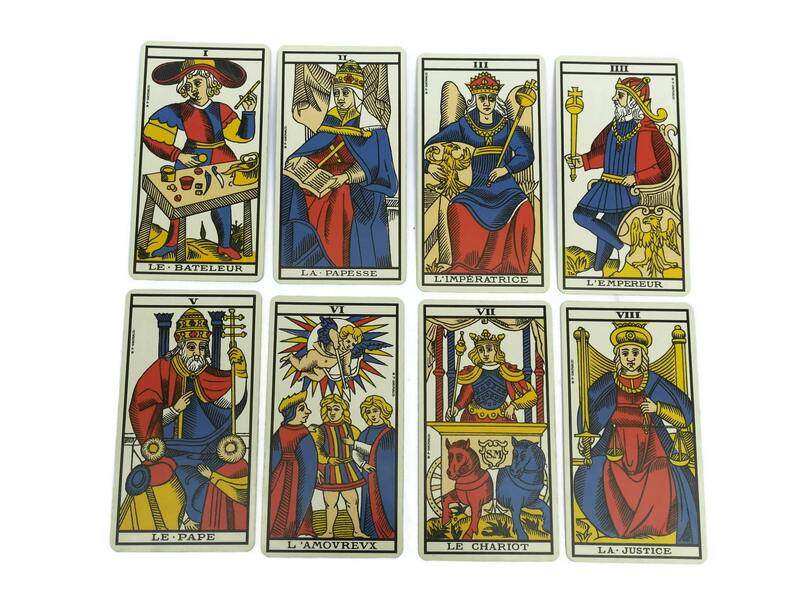 The cards include 22 Major Arcana and 56 Minor Arcana. 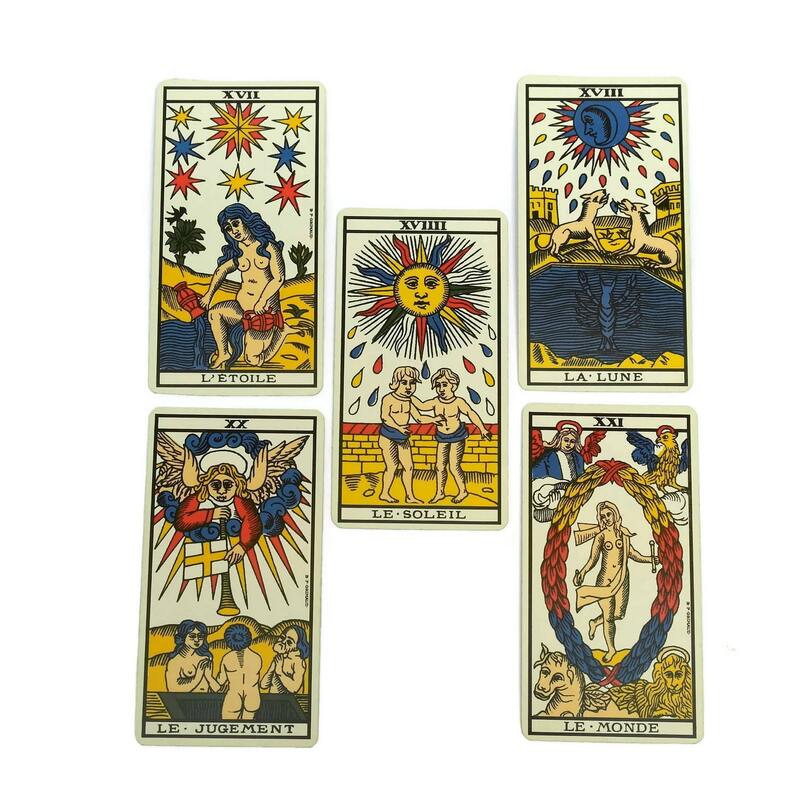 The minor Arcana are made up of 4 suits of swords, coins, cups and batons. 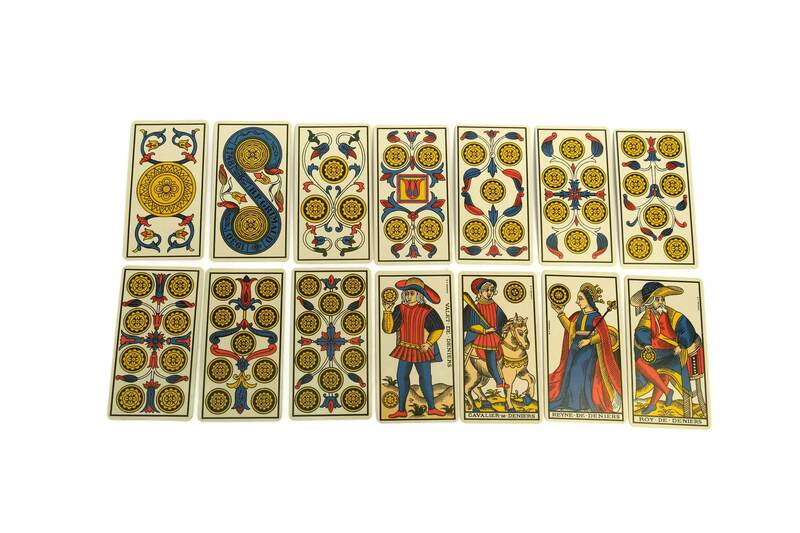 Each card measures approximately 5" x 2 3/4" (12,3 cm x 6,5 cm). 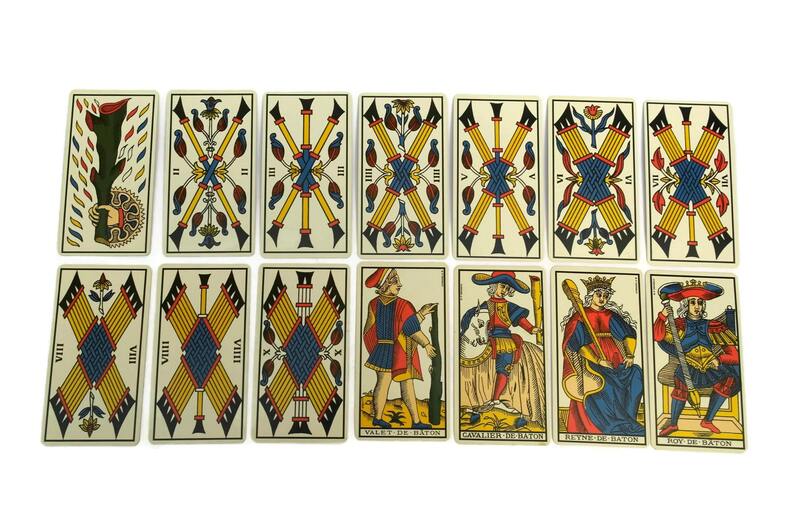 The full deck of Tarot cards is in very good used condition. 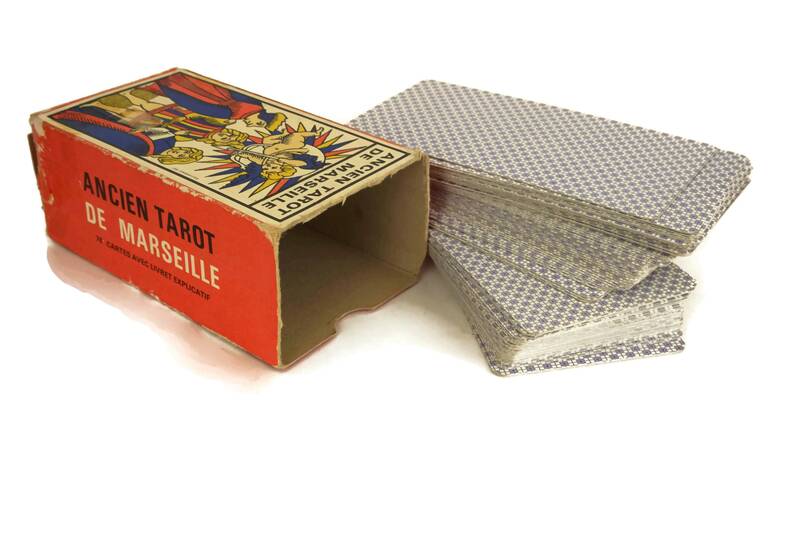 There is wear to the box and loose pages to the instruction book.